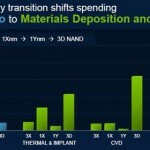 A very unusual side effect of the move to 3D NAND will be the impact on the equipment market. 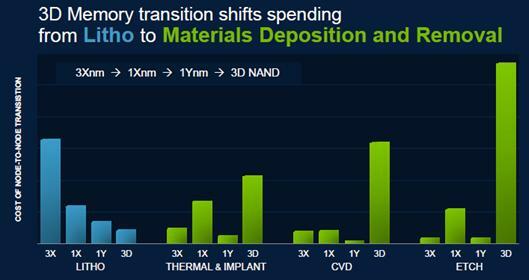 3D NAND takes the pressure off of lithographic steps and focuses more attention on deposition and etch. 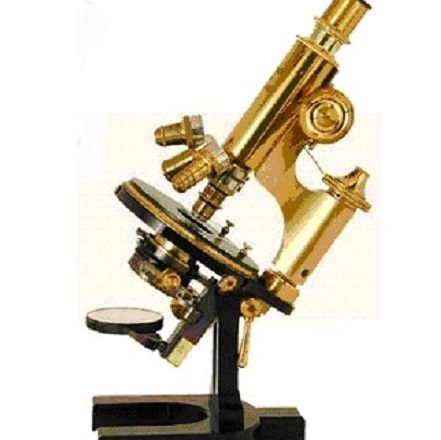 The reason for going to 3D is that it provides a path to higher density memories without requiring lithographic shrinks. This sounds like bad news for stepper makers like ASML, Canon, and Nikon while it should be a boon to deposition and etch equipment makers like Applied Materials, Tokyo Electron, and Lam Research.